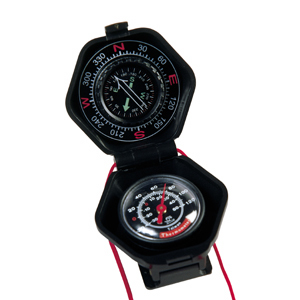 Combination Compass Thermometer determines temperature and direction.Promotional Combination Compass Thermometer. The housing opens for easy reading while clipped on your belt. Also comes with a cord.